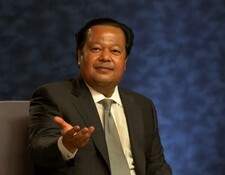 Prem Rawat speaks about inner peace. Since his early childhood, he has been informing human beings about the possibility of fulfillment in this lifetime. His message is not tied to race, religion or culture. He simply reminds people of their own innate thirst, and their own inner oasis that can quench that thirst. Besides mere words and concepts, Prem Rawat offers people the tools that can transform this possibility into a reality. Following are articles and excerpts from presentations given by Prem Rawat in recent events held worldwide. ©Images and text used on this website copyright TPRF.org or Elan Vital inc.